Do you feel overwhelmed regularly? Does it always seem like there is never enough time? 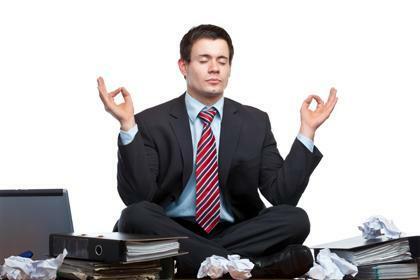 Have you been told by your health care professional that you need to reduce your stress level? Would you like to learn some Yoga breathing techniques and postures to help you manage your stress? I know in my own life juggling work, home, family etc. the list goes on, especially at this time of year can be quite stressful. I am always grateful for a consistent yoga practice as part of my healthy lifestyle to help me manage my stress. Stress is everywhere in our society and everyone is affected in some way or another. Stress can make life less enjoyable and contribute to hormone imbalance, sleep disturbance, muscle and joint pain not to mention osteoporosis and heart attacks. Do you ever have the feeling that there is just too much stuff to do or think about, especially at this time of year? If stress is an issue for you or you would just like to learn more than please join me on December 11th at 6:30 for a workshop on Yoga for stress. Leave feeling relaxed and with some tools to help you manage stress anytime. · Lie comfortably on your back with either your knees bent or your legs straight, whatever feels good. · Inhale slowly through the nose and pay attention to how deep and wide the breath will go. · Place your hands on your belly around your belly button and see if you can make your hands go up with the inhale. As you exhale the hands sink back down. · Next place your hands at the sides of your ribcage and see if you can laterally expand your ribcage into your hands. Quite often we are very tight here and the movement is very small. · Think of the trunk of the body as an empty cylinder and see if you can fill the cylinder with the breath on the inhale. · Start to pay attention to the exhale and try a long slow exhale until the lungs are completely empty. 1. Sprinkle both sides of chicken with salt & pepper. 2. Heat olive oil in 10 “ non stick skillet over medium high heat. 3. Add chicken and cook for 3-4 minutes each side, until lightly browned and no longer pink inside. 4. Add mandarin oranges with syrup to blender or food processor. Pulse on & off once or twice until oranges are coarsely pureed (slightly chunky). 5. Add oranges to skillet along with mustard. Cook and stir over med high heat for 1 minute. 6. Whisk cornstarch with an equal amount of water until smooth. Add to orange mixture in skillet. 7. Cook and stir mixture until it is bubbly and has thickened. 8. Return chicken to skillet. Reduce heat to low. 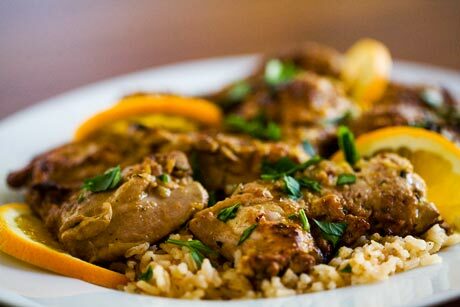 Spoon sauce over chicken. 9. Cover and simmer for 3-4 minutes until chicken is hot and completely cooked through. 10. Serve with rice. Can garnish with orange slices and parsley. It has been about a year and a half since I started working as one of the two receptionists here at Balanced Motion Pilates and Yoga and in this time I have come to fall in love with both the practice of Pilates and Yoga. (As well as all the staff I work with and all the clients that visit us each week 🙂 ) It was about a year ago when I started thinking “ Hey I think that I might really like to teach someday! “ So this began my inquiry about where I could study, what the cost was, and if I was ready to actually start the training involved to teach Pilates. In the end I decided to train where two of my bosses (Lisa Goddard & Sherry Morton Jibb) had done their training. So I enrolled, paid the tuition, booked the hotels (the training is in Toronto! The big smoke!) I was ready to go! My first course was Anatomy in Motion. This excited but terrified me as I have no former background knowledge of Anatomy. I thought for sure I would be eaten alive and be left crying in a corner in the fetal position, feeling out of my league and inadequate. (I may be exaggerating a bit :D) Thank goodness this was not the case. Although the course was A LOT of information, and new information at that, the instructor was very patient and had a way of teaching so that these complex systems were more easily navigated. So I survived that one! So this brings me to where I am now….done Anatomy…done Module 1 and 2…studying hard like my Pilates life depends on it! Because the next time I go will be Core Integrity AND my written Exam! Eeeeek! Mix all ingredients together with some romaine lettuce. To serve can halve and hollow a honeydew melon and use as bowl. If you want to exercise “outside the box”, the ball is your best partner. in all spatial positions: supine, side, prone, seated, at the wall and standing. and rhythm. Transform your movement to expand your mind. · 2 tomatoes chopped coarsely (or 1 large) Add just before dressing. Add dressing & fresh spinach leaves. Blobs of yogurt and orange sections to decorate. Are you 35 years old or more? Do you exercise? If you answered “yes” to the last question, congratulations!! You are doing yourself a big favour by keeping active…Right? We constantly hear how exercise is a key feature of health and wellbeing…an undisputed fact! I have always exercised regularly and advocate that everyone do the same. However, as I have negotiated the years past age 35, various changes have begun in my body as I approach Menopause…Possibly you too have experienced some differences in yourself as you approach Menopause, enter Menopause or move through Menopause. It was during my late 30’s and early 40’s when I found some digestive and reproductive changes led me to need to take a couple of different medications which had the possible side effect of bone loss. Probably like many women entering middle years, I had never even considered my bone strength…I figured my bones should just stay strong if I was physically active, no? It seemed impossible that even though I was exercising regularly at the gym, my bones could still be weakening…Then I learned that weakened, porous bones or Osteoporosis is really a silent condition. Weakened bones show no symptoms until they fracture! Yikes! Imagine just going about your day, then sneezing and ultimately fracturing a vertebra. Sounds impossible but for someone with weak bones this is a real risk. And if you are a woman who is over 50 years old or in Menopause, you have a 1 in 4 chance of being in this situation. The years between 35 and 50 is when we can be proactive to ensure that we don’t become this statistic! Have I piqued your interest about whether your bones are as strong as you’ve always assumed? Or maybe you are wondering how to find out if your bones are strong? Come out for my workshop at Balanced Motion on Wednesday November 20 and find out. In this workshop we will explore exercise techniques that will strengthen not only your muscles but your bones as well. You will leave with a better understanding of what your bones need to stay strong and what to do if your bones are not as strong as you would like. Come out to Balanced Motion Pilates and Yoga on Wednesday November 20th 6:30-7:45, for a forum where a buff bod includes buff bones. 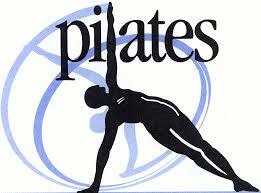 For more information about the workshop please call us at 705-647-1445 or visit www.balancedmotionpilatesandyoga.com . Sorry we are a day late with our Recipe of the week! Time is just flying by! I’m of Indian descent, so it’s only natural that I grew up drinking chai. Chai was a staple in my home — we had it with breakfast, we offered it to guests, we had it for dessert. It was our go-to soul-satisfying hot drink. Being the experimentalist that I am, I love thinking about childhood delicacies and finding ways to adapt those fine fantasies into healthy and equally (if not more) yummy creations, which typically means they’re raw, vegan and gluten-free. This raw chai recipe does just that. It’s healthy, it’s easy, and it’s decadent. Grind cardamom, cloves, fennel and cinnamon in a coffee grinder, food processor or with a mortar and pestle (my preferred method). Let the spices breathe while you prepare the seed milk. Add 3 tbsp hemp seeds along with 2 cups of room temperature water to your blender and blend on high-speed for 1 minute or until combined. To the blender add ginger, cacao, dates, vanilla, ground spices and 1 cup of filtered, boiled water. Blend on high-speed for another minute and serve. Before you take your first sip, do yourself a favor and smell the healing goodness. This is a beautiful self-gift; the best part is that you can repeat it every day. Hemp: I use hemp seeds to prepare a protein and essential fatty acid (omega-3, -6) enriched superfood milk alternative. Although any nut or seed will do, I choose to use hemp seeds simply because they don’t require pre-soaking (like almonds, for example). This adds ease and accessibility to the recipe. Cacao: I use raw cacao as my caffeine substitute because it’s an antioxidant-rich and mineral-rich chocolate powder. This energetic superfood is also said to contain anandamide, known as the bliss chemical (ananda in Sanskrit = bliss). This delicious alternative to black tea is also the perfect cooling companion to the heating chai spices, when taken in small doses. Is your mouth watering yet? Just wait, it gets better. Dates: I use the sweetness of dates as my refined sugar substitute. Dates are dear to my heart (and gut). They’re incredibly sweet with simple sugars that are protected within a whole food exterior. The digestion-friendly fibers slow the entry of sugar into the bloodstream and add bulk to our lovely guts. Dates are also rich in antioxidants (flavonoids), vitamins (A, B6, K) and minerals (iron, potassium, calcium). 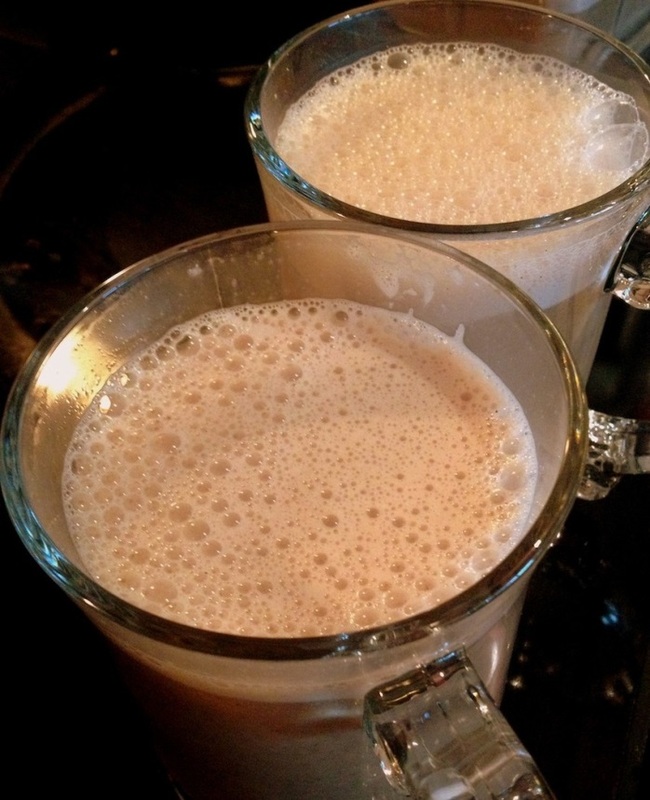 Yet another superfood to add to this super-chai recipe! Chai spices: Here’s where I stick to the original recipe. I use the following aromatic, warming spices: green cardamom pods, ginger, fennel, cloves and cinnamon — excellent for digestion and blood-sugar regulation. Some days I’ll throw vanilla, nutmeg, coriander and peppercorns into the mix, with the former being my most preferred sweet addition. How is this recipe raw, you ask? It’s prepared with a mix of hot and cold water in a high-speed blender. The marriage of ingredients is so intense that it creates a beautiful, blissful, spicy aroma that spills into your space, leaving you with nothing more than a deep, relaxed smile.